Playing music creates an instant community and camaraderie between people, and with the right energy in the classroom playing music can be a safe place to take risks, push boundaries, and express yourself. 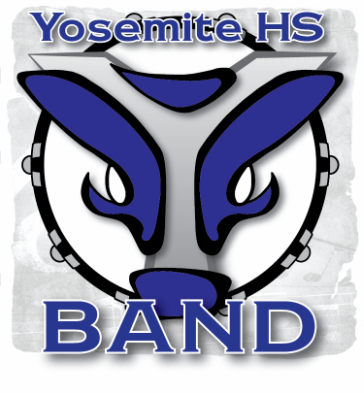 Students in the YHS ensembles will pursue common goals, learn to work well in a group setting, recognize their individuality and respect that of others, and assume personal responsibility and accountability. Students will work hard to meet the California State Standards for music. Working together with parents, the school, and the community, it is the hope that students will pursue their adult lives with an increased awareness of the musical art form, and as such, be able to contribute positively and maturely to an ever-changing society. While we strive to play perfectly, our real goal is to make great music – music that makes us feel good and makes our audience feel good. As a music educator, I hope to create an environment that encourages and nourishes curiosity, creativity, and expression through music. Music touches each and every one of us, and I want to be one of the many music educators helping students of all ages find a place in the world that makes them feel both special individually and part of something bigger than themselves. Playing music creates an instant community and camaraderie between people, and with the right energy in the classroom playing music can be a safe place to take risks, push boundaries, and express yourself. I believe in fostering as much enthusiasm and passion in my students as possible. I also believe that every student deserves a high-quality music education. I will maintain my musicianship as well as continue to expand my musical knowledge throughout my career in order to give my students the best music education possible. I understand that every student learns differently and has varying advantages and limitations. With that in mind, I will do my best to connect with each student and help them reach their personal best. I want to help my students understand that music is a collaborative effort, and each and every individual is important. It is my hope that my students will leave my classroom as more mindful, creative, and well-rounded people.